The World Series of Poker is quickly approaching, with players having already begun competing to gain a seat to many of the upcoming events taking place in Las Vegas, Nevada. Just this week, the WSOP announced via press release that a new rule change is to be implemented that will change the amount of time provided after the clock has been called to prevent stalling and keep tournaments on track. The term calling the clock refers to when a player states out loud that another competitor is taking too much time to make a decision. 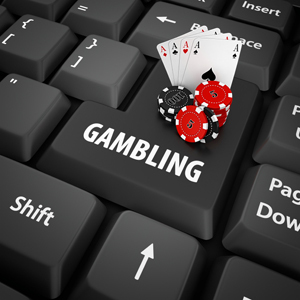 When this occurs, the dealer will alert the staff of the tournament and the situation will be assessed. A timer is then placed on the player to make a decision. If the player does not decide on what to do before the timer ends, then the hand is declared dead. The old rule during the WSOP was that the clock could not be called until around two minutes of deliberation had passed. With the new rule, the two-minute requirement is voided. According to the WSOP, players may now call the clock at any time they feel a participant at the table is taking longer than what is considered reasonable for the game situation. The WSOP does reserve the right to not initiate the clock due to the game situation, as players could choose to abuse this rule change. The floor person will have the ability to start a clock if they feel an appropriate amount of time has passed by. Penalties can take place against WSOP competitors who make a habit of stalling as well as call for the clock on a regular basis. The WSOP is encouraging all players to be respectful of opponents who are involved in a hand, basically saying that players should not overuse the calling the clock option. The new rule gives players 40 seconds to make a decision, which is less than the 60 seconds that was previously allowed under the old rule. The WSOP kicks off on the 30th of May and will run until the 17th of July with 74 gold bracelet events on the schedule. As always, the Rio All Suite Hotel & Casino of Las Vegas will host the series events.